eView lets you instantly view, organize and annotate files so that you can find what you need when you need it. With an easy-to-use interface, quickly browse files on your computer. Just highlight the file name and voila-the image appears on the screen. No extra programs to load; no time spent waiting. 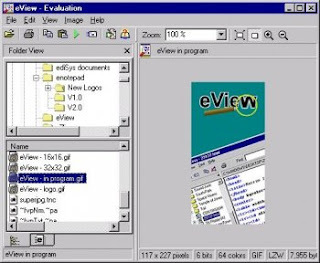 Best of all, eView is free to use when browsing images from a CD-ROM.